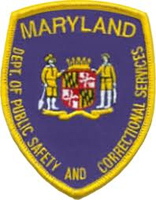 Each facility listed has important information you need to know if you have someone you love incarcerated in Mayland. Each of the institutions has visiting applications, visitors hours, the rules for sending mail, money, packages, letters and photos to an inmate. Answers to other frequently asked questions can be found, and if you still can't find the answer, post your question at the bottom of the facilities page and someone from our staff will answer it. At PrisonPro we do our best to maintain the correct visiting hours for all of our institutions, however correctional facility visiting hours change often and can even be on a rotating schedule, which is why we ask all of our users to call and verify the visiting hours with the facility prior to their actual visit. If you find that we have the wrong visiting hours listed please do us a favor and leave a comment at the bottom of the facilities page and we will quickly update them.